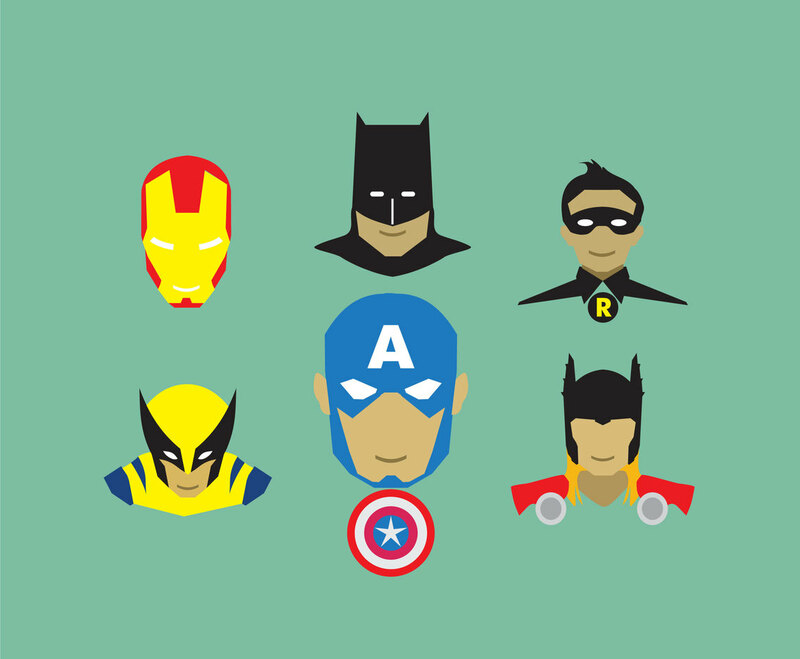 A set of vector that includes several super heroes character illustration. A few of them are Batman and Robin. You can select one of these super heroes character to edit for your design project.